Vicky Myres, 24, tragically died in the incident. A man is due in court over the death of a young cyclist killed in a suspected hit-and-run in Greater Manchester. Gurparthab Ajay Singh, 26, of Hall Lane, Wythenshawe, is accused of fatally colliding with 24-year-old Vicky Myres in Timperley early on Sunday. The family of "lovely daughter" Miss Myres said her death leaves a void that can never be filled. The florist, from Flixton, had just bought a house with her partner James and recently cycled from Land's End to John O'Groats. Singh has been charged with causing death by dangerous driving, failing to stop after a road traffic collision and failing to report a road traffic collision. 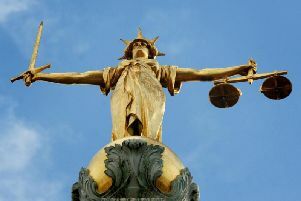 He will appear at Manchester and Salford Magistrates' Court on Tuesday. Emergency services were called to Stockport Road just before 8am but Miss Myres later died in hospital. A second man arrested after the crash, aged 35, was released under investigation. Officers continue to seek witnesses and anyone with information should call 0161 856 4741 or Crimestoppers anonymously on 0800 555 111.